Windows Password Recovery - Quickly Reset Windows 10/8.1/8/7/Vista/XP Password! We often want to keep our computers protected and hence take the help of passwords in order to do so. We also always remember the password and seldom some accidents happen and we are locked out of our Windows. Then we plan on reinstalling the system. The drawback of doing so is that it takes a long time and causes data loss. But there are software that can help you bypass the password and without any data loss whatsoever! The iSumsoft Windows Password Refixer is one of them. But there are other potent software as well. Here is a detailed guide of the same and some easy steps which will help reset the password and help you login again to Windows. 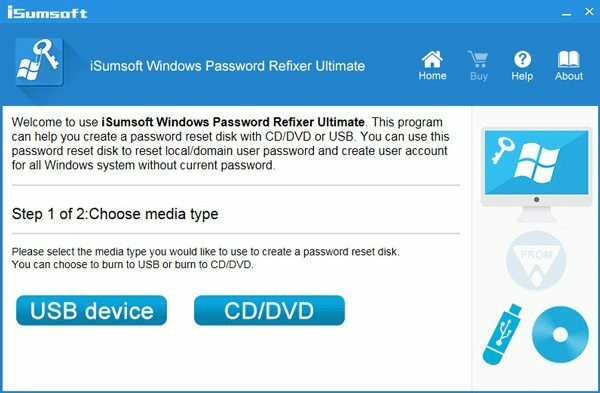 What is iSumsoft Windows Password Refixer? 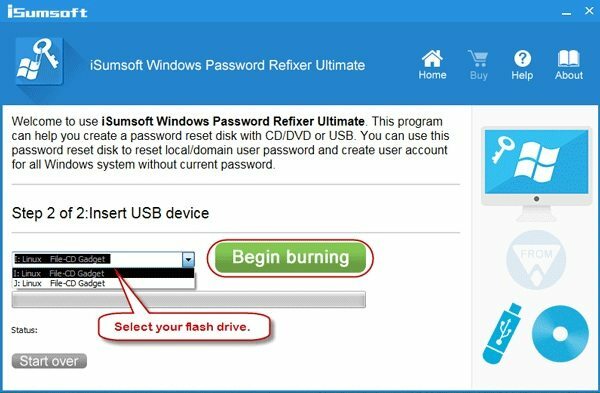 iSumsoft Windows Password Refixer is the newest update to Windows Password Recovery Tool, it has some very effective features. You can easily reset local Administrator account. You can change user account password for all Windows versions and Windows Server very easily. You can also use it to reset Microsoft account password in Windows 8/8.1/10. This program is also capable of adding a new Administrator account, and you don’t even have to login to Windows for that. Basically, if you have forgotten the password of your Windows account then iSumsoft will be a wise choice. 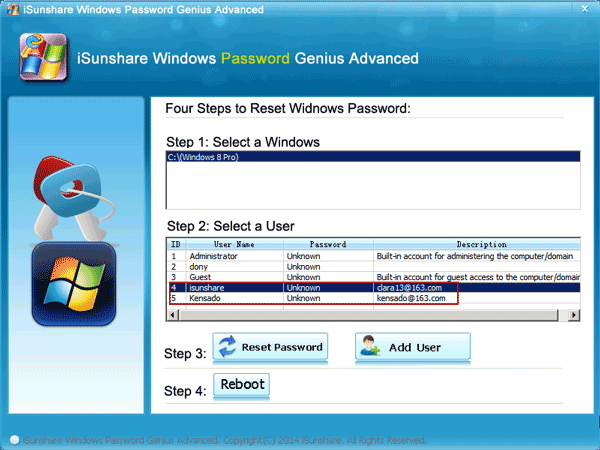 Here’s a guide to use iSumsoft Windows Password Refixer full version for password recovery. Step 2: Now, run the program and select the USB drive and click on “Begin burning” options. Step 3: It will take only a few seconds to make the recovery disk; after the procedure is complete you will get a message on the screen. Step 4: Now, connect the USB drive to the locked computer and reboot it. When it starts again the program will load automatically. Step 5: You will have access to all of your accounts; you simply need to select the locked account and click “Reset Password”. This is how to use iSumsoft Windows Password Refixer to bypass a locked computer. This software allows you to reset lost or forgotten standard user or administrator password in Windows 10/8.1/8/XP/Vista. It is able to reassert or remove password of any account including the Administrator account. You can reset, remove domain administrator and other user passwords. Reset Windows 10/8 Microsoft account password. Create a new local admin account to unlock the computer. Create a new account doomsday if someone hacked your previous one. Completely support Windows 10, Windows 8, Windows 7(32/64 bit), Windows Vista (32 bit/64 bit), Windows XP, 2000, NT etc. Perfectly support Windows Server 2012(R2)/2008(R2)/2003(R2). Support various brands of desktops, laptops, tablets, PCs, and servers, including ASUS, IBM, Sony, Dell, Lenovo, Acer, and HP etc. Support almost all for systems NTFS, NTFS5, FAT 32 etc. 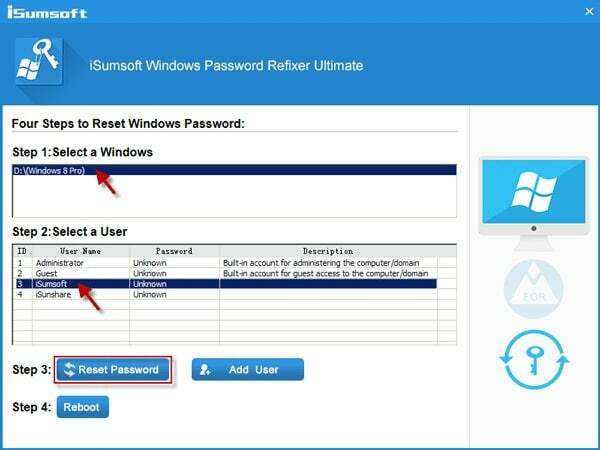 iSumsoft Windows Password Refixer alternative Windows Password Recovery Tool provides you 2 options to manufacture a Windows password reset disk, making sure that you can boot up any laptop or desktop when you are locked out of Windows. 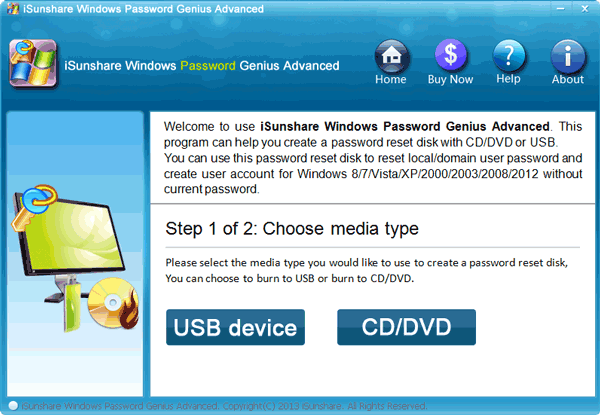 Windows Password Recovery is one of the best password recovery tools available. As discussed above it uses a wizard-like interface to create a bootable CD/DVD or USB drive. This drive will be used to reset the Windows password. Step 1: First, you need to download and install the program on your computer and then connect a USB drive. 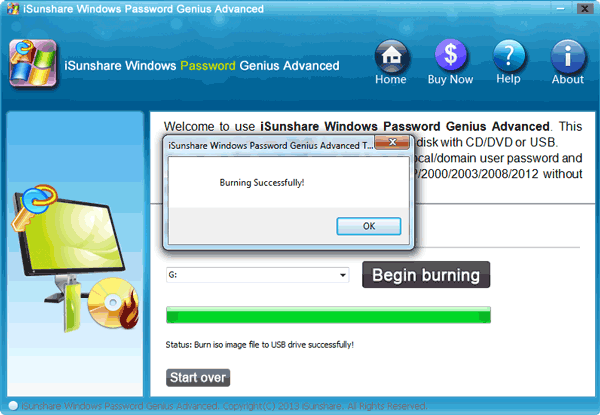 Step 2: Then, just launch the program, select the USB drive and choose the option “Begin Burning” to create the recovery disk. Step 3: After the procedure is complete, click “OK” to close the wizard. Step 4: Now, take that USB drive and connect it to your locked computer. Step 5: Reboot it and tap “F12” or “ESC” to access Boot menu. Step 6: Inside the Boot menu, select the USB drive and the program will on your computer. Step 7: When the loading is complete, select the Windows system to choose the locked account and click “Reset Password”. After the password is reset the Windows PC will be rebooted. Now, you have 2 of the most effective and easiest ways to access your locked Windows PC, not just iSumsoft Windows Password Refixer. It looks like both of the programs are very capable and similar in more than one ways. So, it is completely up to you which one of the programs you are going to use to unlock your computer but Windows Password Recovery Tool is a bit faster and easily approachable. Plus, it is more user-friendly and effective. Highly recommended! Windows Password Recovery is the world's first Windows Password Recovery Tool to reset lost/forgotten password for Windows 10/8/7/XP/Vista and Windows server 2000 /2003/2008/2011/2012/2016. Copyright © 2007-2019 Windows Password Recovery. All Rights Reserved.